ASAP Electrical & Security Systems supports a fully licensed and operational security division that is focused on the design and implementation of customised, quality security systems specific to our clients needs. At ASAP we believe that a security system should not only provide protection for your business but also peace of mind in the knowledge that you have a quality security specialist dedicated to providing you with an unparalleled level of service and commitment. Unlike many of our competitors ASAP is not a sales based company. That is our primary goal is to design and implement systems to our individual client expectations rather simply selling units. We do not promote or sell alarm and/or video surveillance packages that have not been thoroughly tested prior to installation. As a security company we differ from many of our competitors by honouring our close association with Ness Security Products as our primary provider of security equipment. 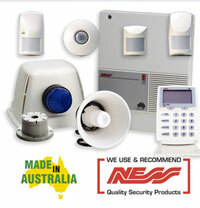 Ness Security Products continually stand alone as a market leader in this industry. Having been established for over 30 years as an Australian owned and operated company they have received 8 Australian Design Awards and are ISO9001 Quality Accredited. As a national company they offer a support network that ASAP Electrical & Security Systems have found unparalleled in this industry and a price structure that provides a quality product for a realistic price. At ASAP we are proud to be nominated as a Ness Security Products Select Dealer. Design and installation of CCTV systems that are focused on technological advancements whilst remaining user friendly. A focus on using the technology and equipment installed as a platform for future expansion. Packages designed to suit all budgets. As a result of our dedication to our clients and a belief in only providing quality products and service we now have a custom designed system that is currently being installed in many Subway food outlets across NSW. The security industry is one that is experiencing a rapid growth in technology and design concepts. New products and equipment are constantly streaming into the current market place as consumer expectations and demands evolve. At ASAP we not only understand this technology but promote the use of equipment and design practises that provide a quality installation today and a platform for tomorrow. 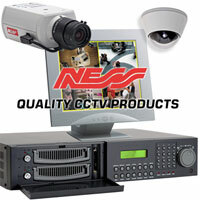 When you choose Ness products you are selecting from a range of the very best security equipment available anywhere in the world. Professional security for your home or business. Domestic and commercial alarm control panels, Motion detectors, integrated radio security, cameras, monitors, digital video recorders. Alarm systems and equipment tailored to suit all domestic and commercial applications. Highest quality digital video surveillance systems and camera equipment designed to protect your home and business. Lifetime parts warranty offered on all alarm equipment whilst alarm system is monitored by a “Ness Security Products” monitoring contract.